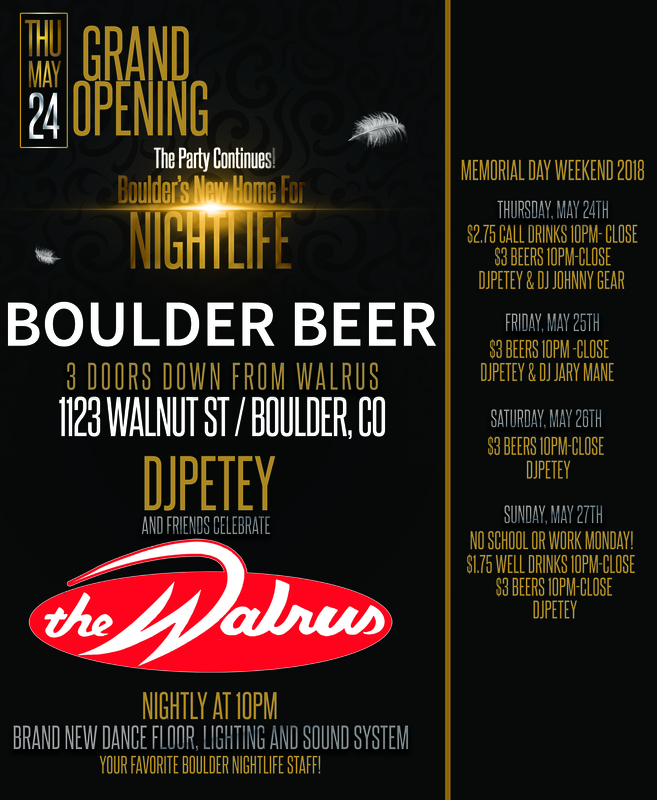 Boulder’s New Home for Nightlife | DJPetey.com!!! Been working on the sound and lights for this place non-stop for 3 weeks. 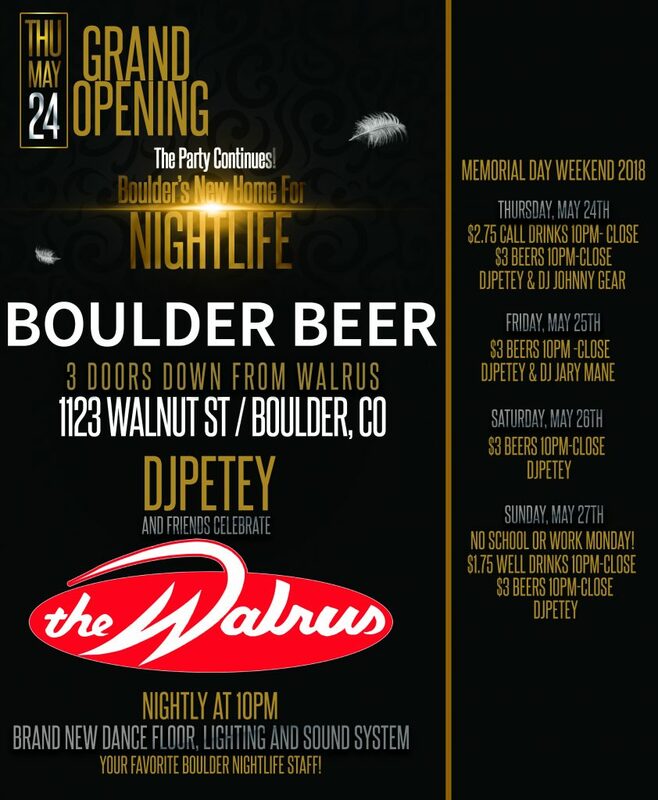 Grand opening is Thursday, May 24th (this week) at 10pm! I havent been this excited about a new venue in a long time. This one is for you, Boulder! I literally cant wait for you all to see it! $2.75 call drinks for everyone all night long this and every thursday night. I will fill you all in on more details later. Check back here soon! 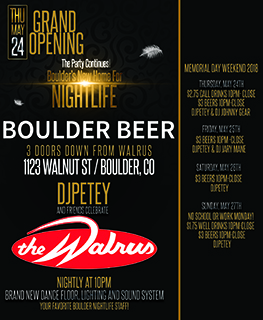 Click “read more” for the full grand opening flyer below.